Hey guys, so basically, Ireland was hit by a huge storm yesterday. There were hurricane force winds and even a mini tornado in Roscommon. There were trees falling all over the country and one even fell and hit the house next door to mine but mostly only got the roof because a wall across the road took most of the force so everyone was okay. Not only did the tree hit the house next door but it also blocked the road off so we couldn’t get past it. I was lucky that I didn’t have any classes in college yesterday so I was at home. I heard afterwards though that they had to have a lock-down in college because it was too dangerous for anyone to leave. I was at home waiting for everyone to return safely, which took a while because they needed to find another way home because of the fallen tree blocking the road. 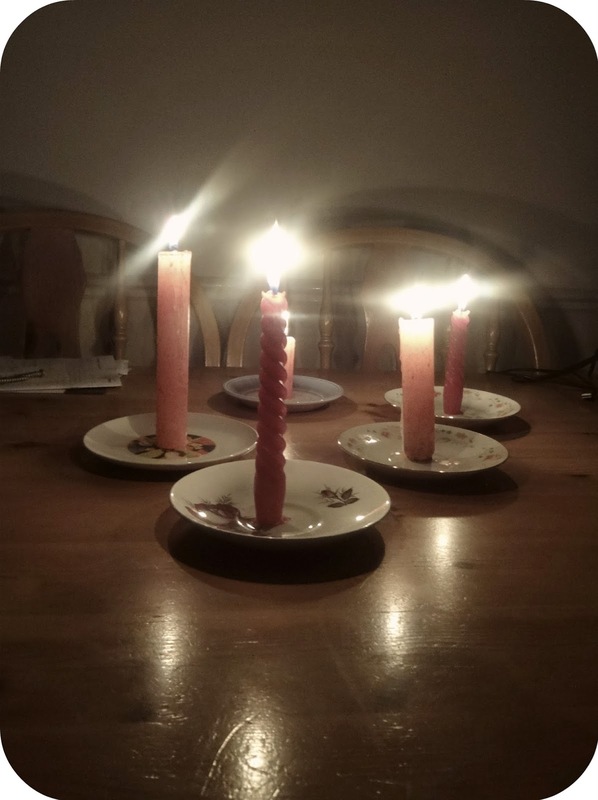 Everyone got home eventually but our electricity was gone so we had no lights, heating or any way to make a dinner. The Internet was also gone, and still is, so I haven’t been able to write a blog post about it until now while I’m in the library at college. The house was freezing most of last night and this morning so it is nice to be in a heated room with internet again. Last night, I felt like I was living back in the olden days when they had no electricity, and I bet it was a real shock to my little sister who is constantly playing on a laptop or iPhone. After not having electricity for a few hours, and once the storm had mostly passed, we found out that the Chinese down the road was open so we got dinner from there and ate it by candle light. With a full stomach, our only struggles for the rest of the night were trying to stay warm and keeping ourselves entertained. We were able to have a small fire but not too hot because the stove we have needs electricity to pump the heat to the radiators and if the pump doesn’t work and the fire gets too hot, then it could be dangerous. We also wrapped up in warm coats and dressing gowns to stay warm. Before the daylight had gone completely, I decided to do my sister’s makeup to pass some of the time but it got pretty dark before I had even finished the eyes, so after finishing the rest of her makeup in the dark, she looked a bit of a mess. I then felt like I had really gone back in time while reading a Charles Dickens book for college by candle light. I didn’t do much after that, we went to sleep pretty early because there wasn’t much to do in the dark. This morning I went to college early, but the electricity still wasn’t back in our house. They are saying on the news that we mightn’t get it back til sometime on Friday and I’m not sure if the internet will have to be repaired then or not so I’m not sure if I can do a blog post over the weekend. I’m charging my camera in the computer in college now though so I will still be able to take pictures, and I can use the internet on the University computers on Monday to write a new blog post for you all. Hopefully the electricity and internet will come back before then but if not, I’ll see you all on Monday. If you want to read more about the storm, here is a link to an article about it from the Irish Independent website .